Traffic Scotland raised the alarm for commuters to "take extra care" on the M8 on Thursday. 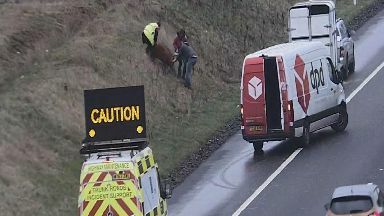 An escaped horse caused rush-hour traffic delays between Edinburgh and Glasgow on the M8 on Thursday morning. Traffic Scotland raised the alarm for commuters to "take extra care" on the motorway between J6 and J4A at around 8.20am. 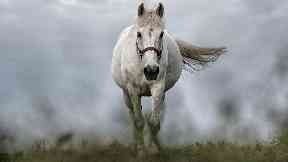 Within 20 minutes, the horse was tracked down and rounded up on a non-trunk route. Just last month a runaway pig surprised rush-hour commuters on the M8. Traffic Scotland posted a picture of the pig being herded to safety. By 10am, the pig was back in a vehicle and was no longer "hogging the hard shoulder".